On Saturday the 8th of February 2014 Archpriest Rev. 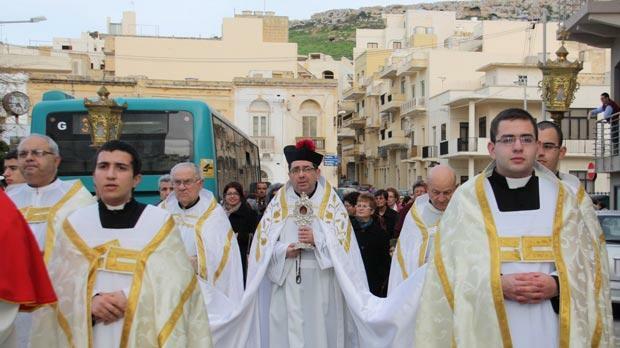 Reuben Micallef presided over the Solemn Translation of the Relic of St Paul accompanied by devotees of the saint. At 6.00 p.m. the Archpriest led the concelebration; the Mass was animated by the choir Regina Angelorum under the direction of Mrs. Maria Cefai and Mrs. Jacqueline Vella. The organist was Mr Franco Cefai.